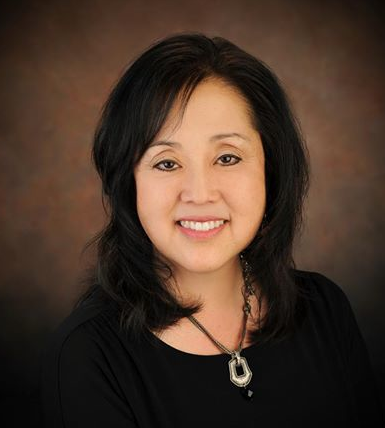 SALT LAKE CITY — Jani Iwamoto was elected to the Utah State Senate on Nov. 4 to replace fellow Democrat Sen. Patricia Jones, who is retiring. In the race for the District 4 Senate seat, Iwamoto received 17,389 votes (61.67 percent) to Republican Sabrian Petersen’s 10,810 (38.33 percent). Iwamoto is a former member of the Salt Lake County Council and Petersen is a member of the Holladay City Council. Iwamoto advanced to the general election by defeating former Senate Majority Leader Ross Romero with 62 percent of the vote at the Salt Lake County Democratic Convention in April. Located in Salt Lake County, District 4 includes Holladay. Born and raised in Salt Lake County, Iwamoto graduated from Highland High School and received a mass communications degree from the University of Utah and a law degree from UC Davis. She spent several years chasing her legal career on the West Coast, serving as a partner and litigator for a prominent Northern California firm. But she later returned to Holladay with her husband, Steve, and children, Nathan and Katie, to be near her parents. She has been politically active ever since, promoting causes that protect children, the environment and her community. Iwamoto served on the No! Coalition, established by Gov. Mike Leavitt to oppose high-level nuclear waste in Utah. She was appointed by Gov. John Huntsman Jr. to the Central Utah Water Conservancy District Board of Trustees (and reappointed by Gov. Gary Herbert), and the Court of Appeals Judicial Nominating Commission. She ran successfully against an incumbent to win a seat on the Salt Lake County Council. As an elected official, she passed resolution opposing the transportation of foreign waste and depleted uranium across county lines. She guided the purchase of millions of dollars in open space that was made possible through a voter-approved bond. She pushed to strengthen the county’s planning rules for canyons to better protect against projects such as the proposed Snowbird mountain coaster on Mount Superior. She has worked to conserve and protect water resources and help improve air quality. Iwamoto worked with low-income and no-income minorities and high-risk youth, and continued her efforts in Utah in the areas of safety, education and opportunities, and empowerment. In addition, she strongly opposed the elimination of the state’s Office of Ethnic Affairs and co-sponsored non-discrimination ordinances for housing and employment in 2010. Outside of politics, Iwamoto volunteers her time to promote the arts, environment, children, education, safety and diversity. She has helped raise money for multiple organizations and causes. She has served on the Executive Board of the Asian Association of Utah and is vice president of the JCPC (Japanese Community Preservation Committee), which seeks to preserve what is left of what was once Japantown. Another Japanese American member of the Utah State Senate is Republican Brian Shiozawa, who was elected in 2012 to represent District 8. His term expires Jan. 1, 2017.